Lucy, Mary Jane, and Harry go into business with a frozen custard stand that is near the zoo. When Lucy's meddling makes all the employees leave, and Mary Jane has to go back to work, the business is left in the hands of Lucy and Harry. Things couldn't get worse until Harry devises an advertising scheme Lucy can't refuse, dressed as a penguin. As owner of the proud penguin, Lucy serves custard and leads baby penguins from the zoo. 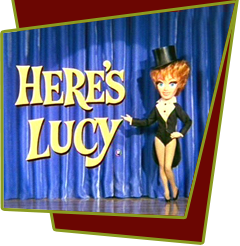 Special Notes: This episode is based in part on The Lucy Show episode #7, "Lucy is a Kangaroo for a Day", which is itself based in part on the unproduced 1961 special, "Lucy Goes to Broadway".